An easy step-by-step recipe for Chocolate Almond Mousse, Chocolate Almond Mousse Recipe, Easy Chocolate Recipe, Dessert Recipes, Simple Chocolate Recipes, Cooking Chocolate Mousse, Yummy Chocolate Almond Mousse. You want to serve your guests with a homemade Chocolate Almond Mousse but don’t know how to make it? 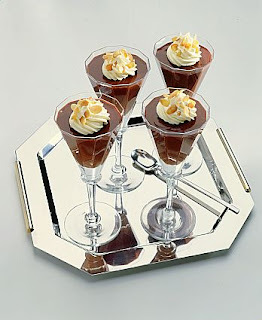 Then, your search ends here with our tried and tested delicious Chocolate Almond Mousse recipe. Try it and see your guests going gaga over your cooking skills. · Stir milk, eggs and sugar until thoroughly blended in a medium saucepan. · Stir constantly until the mixture is thick on low heat. · Test the consistency by coating a metal spoon with a thin layer of the mixture and then remove from heat. · Mix chocolate and extracts until chocolate in melted. · Fill this mixture into 8 crème cups or 1/ 4 cup dessert dishes. · Sprinkle almonds as a whole or in chopped form. · Refrigerate for hours and serve chilled.